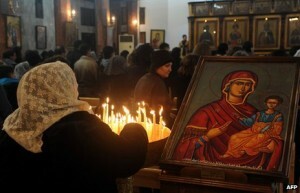 Syria’s Christian community is one of the oldest in the world, going back two millennia. The apostle Paul is said to have been converted on the road to Damascus, while some Christians from the town of Maaloula can still speak Aramaic, the language of Jesus. Near the northern city of Aleppo is the Church of St Simeon Stylites, who spent decades on top of a stone pillar to demonstrate his faith, while in the mountains west of Homs is the castle of Krak des Chevaliers, which was a fortress for the Knights Hospitaller during the Crusades. Christians are believed to have constituted about 30% of the Syrian population as recently as the 1920s. Today, they make up about 10% of Syria’s 22 million people. Sunni Muslims meanwhile make up some 70% of the population and about 12% are Alawites, members of a heterodox Shia sect to which President Bashar al-Assad belongs. There are smaller numbers of Druze and other sects. The vast majority of Syrian Christians belong to Eastern denominations. The largest and oldest is the Greek Orthodox Church, which has about 503,000 members. The Armenian Apostolic Church has between 112,000 and 160,000, and the Syrian Orthodox Church about 89,000. Among the Uniate Churches, which are in communion with Rome, the largest is the Melkite Greek Catholic Church, with between 118,000 and 240,000 members. It is followed by the Syriac Maronite Church of Antioch, which has between 28,000 and 60,000, the Armenian Catholic Church, the Syrian Catholic Church and the Chaldean Catholic Church. The Assyrian Church of the East has about 46,000 followers. Despite their minority status, Christians have long been among Syria’s elite. They have been represented in many of the political groups which have vied for control of the country, including the secular Arab nationalist and socialist movements which eventually came to the fore. The founder of the Baath Party, which has ruled Syria since 1963, was a Christian, and Christians rose to senior positions in the party, government and security forces, although they are generally not seen to have any real power compared with their Alawite and Sunni colleagues. Although, like other Syrians, they had very limited civil and political freedoms, Christians are believed to have valued the rights and protection accorded to minorities by Hafez al-Assad, who was president between 1971 and 2000, and by his son Bashar. A large proportion of the country’s Sunnis also tolerated or supported the Assads, whom they saw as guarantors of stability. When pro-democracy protests erupted in Syria in March 2011, many Christians were cautious and tried to avoid taking sides. However, as the government crackdown intensified and opposition supporters took up arms, they were gradually drawn into the conflict. Hundreds of thousands of Christians have been displaced by the fighting or left the country in the past two years. Melkite Greek Catholic Patriarch Gregorios III Laham recently said more than 1,000 Christians had been killed, “entire villages… cleared of their Christian inhabitants”, and more than 40 churches and Christian centres damaged or destroyed. This has led some Christians to express support for President Assad, particularly as sectarian violence has increased and jihadist militant groups calling for an Islamic state in Syria have grown in strength. Many fear that if President Assad is overthrown, Christians will be targeted and communities destroyed as many were in Iraq after the US-led invasion in 2003. They have also been concerned by the coming to power of Islamist parties in post-revolutionary Egypt and Tunisia. 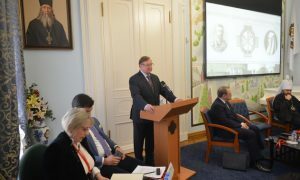 Some communities are reported to have taken up offers from the government to arm groups of youths, called “popular committees”, to defend themselves from rebel attacks. Other Christians are believed to be assisting the opposition. Many are active in political groups such as the Syrian National Council, whose leader, the veteran communist George Sabra, is from a Christian family. The Local Co-ordination Committees, an opposition activist network, also includes Christians. Christian opposition activists have accused the government of stoking sectarian tensions, including by using Alawite-led security forces and Alawite militiamen to target Sunni civilians, and overplaying the threat posed by the rebels to Syria’s minorities. On 22 April 2013, two senior clerics became caught up in the war. Bishop Yohanna Ibrahim, head of the Syrian Orthodox Church in Aleppo, and Bishop Boulos Yaziji, head of the Greek Orthodox Church there, were kidnapped by gunmen while they were on what was described as a humanitarian trip. Bishop Ibrahim had spoken to BBC Arabic only a few days beforehand, saying both sides were to blame for the conflict and that Christians were not being targeted. “The whole of Syria has become a battlefield… Every aspect of democracy, human rights, freedom, secularism and citizenship is lost from view and no-one cares. “The future of Christians in Syria is threatened not by Muslims but by… chaos… and the infiltration of uncontrollable fanatical, fundamentalist groups,” he added. 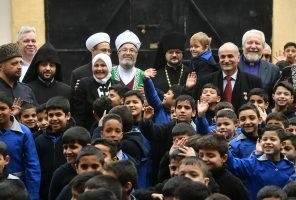 Patriarch Gregorios said the threat to Christianity in Syria had wider implications for the religion’s future in the Middle East because the country had for decades provided a refuge for Christians from neighbouring Lebanon, Iraq and elsewhere. 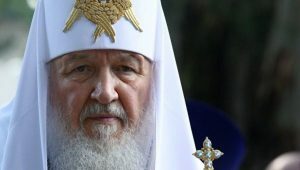 His comments echoed those by another Damascus-based prelate, Maronite Archbishop Samir Nassar, who said Christians in Syria had to “choose between two bitter chalices: to die or leave”.